After decades of successful work in Truagh and the greater north Monaghan area, Truagh Development Association is still moving forward, proactively addressing the needs of the people within the community and is now turning its focus to identifying opportunities for future community development and enterprise with its latest venture, the Tru Irish Project. The goal of Tru Irish is to provide e-commerce capability to the local craft and design sector by providing innovative group online sales and marketing so that these small and medium-size businesses can flourish in their rural locations and create additional wealth and jobs in the local economy. We champion the local craft and design sector by developing national and global markets and the quality of the products showcase the sheer talent our corner of Ireland has to offer from contemporary jewellery, hand-woven, luxurious garments, vintage light fixtures and personalised heraldry and artwork for that perfect gift. The list of crafters is growing week in, week out and connects more than 40 talented crafters stretching across the County of Monaghan and even further afield in counties such as Wexford, Roscommon and Kerry. This project is funded by Monaghan LEO and Monaghan County Council. For further information contact Claire McGuigan, Sales and Marketing Coordinator, claire@truirish.com or phone (047) 87049. 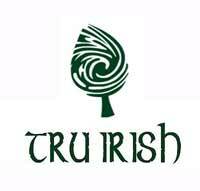 Check out our website www.truirish.com to see for yourself the craftsmanship and design of the locally made crafts.